This listing is for one shower curtain "Calm Waters". Customize your bathroom décor with unique shower curtains designed by me. Made to order from 100% polyester, my designer shower curtains are printed in the USA and feature a 12 button-hole top for simple hanging. The easy care material allows for machine wash and dry maintenance. Curtain rod, shower curtain liner and hooks not included. Dimensions are 71in. by 74in. Instantly update your bathroom with my one of a kind fine art shower curtain which looks great and helps keep your floors dry. 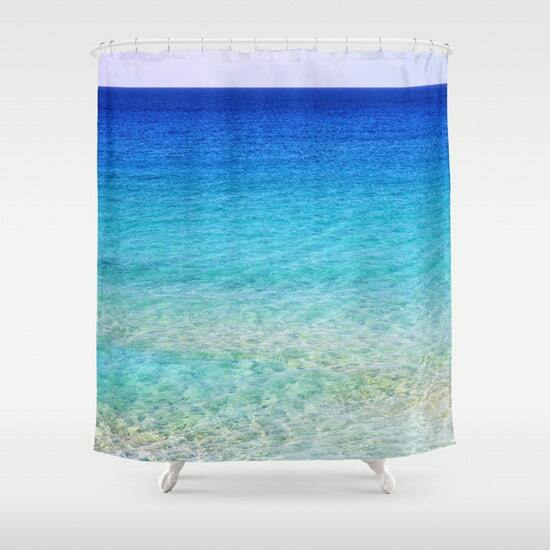 Do you see an image in my shop that is not listed as a shower curtain? Just send me a message, and I will make you a custom listing.